In yesterday’s article I shared a day in which I was suicidal and the process before being admitted in lockdown in the psychiatric ward. When I was admitted to the psych ward I was given the room closest to the exit doors, directly across from the nurse’s station. I presumed that was because I would be moved soon since my doctor said they’d be moving me to a different floor where I belonged once a room became available. When the nurse showed me my room, she provided a list of classes to attend and told me they were optional, but highly recommended. I moped for a bit, but, curiosity got the best of me and I decided to walk around the ward. It was just like “One Flew Over the Cuckoo’s Nest.” The walls were painted a very drab green and people (mostly men) were wearing hospital gowns and were either walking up and down the hallways or in circles. All of them had sad looking faces and dark lifeless eyes. The nurses were all wearing frowns. There was a common area that offered a television, books and board games and it was busy, but seemed volatile. Those playing games were arguing and there were several allegations of cheating. The feeling I got was that most didn’t want to be alone, yet, they wanted to be left alone. Then I stopped in my tracks. There was someone I knew. I didn’t know him that well. We were acquaintances more than friends, but socialized in the same circles. I always thought he was adorable looking and fun. I backed down from asking him out a couple of times. He was laying in his bed looking out his door and spotted me. He looked like all his life was sucked out of him and I became overwhelmed with sadness. We locked eyes to acknowledge each other’s existence and I turned to go back to my tiny room to get some sleep. I never saw him ever again. When I got back to my room my roommate, Chuck, was there. He was very friendly and seemed “normal” so we chatted briefly, then I curled up and went to sleep. I was sleeping deeply, but was awakened in the middle of the night. Chuck had the light on and was tearing the room apart. He apologized for waking me and began pulling out the dresser drawers and stacking them on the floor. All I could think was, “Oh my God, he’s crazy.” I was angry that they put me in the room with some psycho. Chuck continued to ransack the room for a couple more minutes and then sat on his bed and apologized and told me he was looking for the voices. I became scared, but then he opened himself up and explained his situation. He said he was on meds that worked most of the time, but the voices were getting too loud. “I know the voices aren’t real.” He said, “They are not there. However, they are there because they are too loud for me to ignore. I can’t do anything about them, but I must do something about them.” It was the first time, I know of, that I had spoken with someone who was schizophrenic and he put it in a way that I understood. We talked a little bit more before both of us went back to sleep. The next morning I immediately went to the nurse’s window and asked when I was going to be moved. I was advised that they’d let me know but I felt I was being brushed off. Having only one set of clothing, I switched into a hospital gown and decided to join one of their recommended group sessions. When I first arrived to join the circle it was a bit chaotic, but the counselor eventually got everyone to quiet down to begin the session. It wound up not being much of a group session because one patient, who was also schizophrenic, monopolized the entire time. He was complaining about the people across the street sending signals into his head and would not listen to the counselor who tried to explain it was his schizophrenia talking. He shot her down by telling her that they obviously were sending signals to her head to make her think that way. When group ended I finally connected the dots and realized that I was in the low functioning psych ward. I decided I had been duped and they had no intention of moving me. I knew this is where they felt I belonged. I went to my room, noticed that Chuck was packed up and gone and cried myself to sleep. Tomorrow I will share more of my experience of my stay on the seventh floor. I’m not sure if you realize this now or if the nurses told you then, but the reason you were assigned a room directly in view of the nurses station was because you were on suicide precautions. Did you have to sleep with your door open? Good point. I don’t recall being explicitly told not to close the door, but I know I never did shut it, which would be very unlike me so my guess is you’re correct. Oh my gosh what a horrible first day!I’m just thinking that from what you went though, at least you’d have some kind of relief knowing you had a bed, shower and a doc to speak with. Yet, you got more anxiety. geez. I was actually looking forward to being in the psych ward so I could get a break. Little did I know it was going to be what it was. I got steadily worse the longer I was there. i bet you did! Geez. And, what’s the deal with lumping BPs with schizophrenics???? If anyone actually cared about any kind of recovery for any? Why tie folks to train tracks of another’s completely separate illness. Respect, no. Investment, you betcha. When i got out i did start carrying a clipboard for mental health rights. Mom’s own brother and wife refused to sign — even kept a physical and verbal distance, as if it was contagious or I was somehow radioactive. they fully believed Obama was a Muslim secretly taught in a madrassa, as if they even knew what a madrassa was before they read the email. now, he’s also a communist. I told them at Christmas it is absolutely impossible for Obama to be a Muslim Communist – one can not devote his life to allah while shaking hands with comrades promoting a philosophy which has no god. But, i’m the crazy one. Why listen to me? I’m the first in the family to graduate college, I’m 43 now. a BA in English and a minor in post WW2 history. so what the heck do I know? According to them I missed a lot informative emails and must do more research. I never spent a second in a once legal/now not “internet cafe” where people like my uncle and aunt can come back and boast about all the free soda, doughnuts and hotdogs they got – oh,,,, they won 50 bucks. They went Every Day, until the State closed them when the big Horseshoe and Hard Rock casinos took over. Now, the casino has mulitiple bus trips from their nearest mall, and they go, every day, and now carrying clipboards to circulate a petition to “put ohioans back to work,” by opening the hot dog serving internet cafes near where they live. all of a sudden I hear about Stacies, Mikes, jennies who have been treated unfairly and have no job at the internet cafe they went to for free hot dogs, no gays and no brown people. Yet they still can’t look in the eyes of their bipolar niece and gay nephew. I’m still listening, Bradley. Standing by for Part III. I’m glad I’m keeping your interest. oh wow. i never heard of a hospital having separate floors, much less gender separated. every time i have been in, its all kinds of men and women all together. 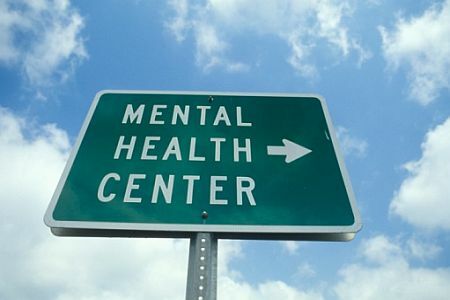 It was a large mental health facility funded by a lot of celebrity donations so it was a pretty big complex. There was no separation of the sexes. Men and woman shared the facility, it just seemed like there were a lot more men. As I recall it seems like women were more likely to stay in the rooms while men would wander the halls.